At your place of business, school, or office, your participants, who are normally required to wear business attire or uniform, can make a donation (usually between $5-$10) and in return, wear jeans for a day, week, or however long you designate. Your company, school, etc. selects the start and end date they would like to participate. Suicide is one of the leading causes of preventable death in our nation today. We lose approximately 100 young people each week to this tragedy that can be prevented. 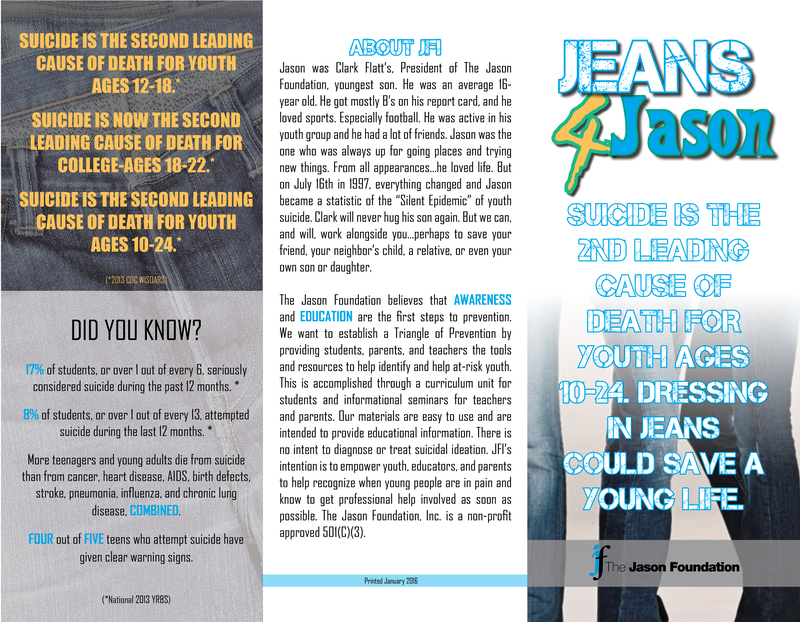 All of The Jason Foundation’s educational programs are provided at no-cost. $.96 of every dollar raised goes directly to provide educational materials and seminars across America. 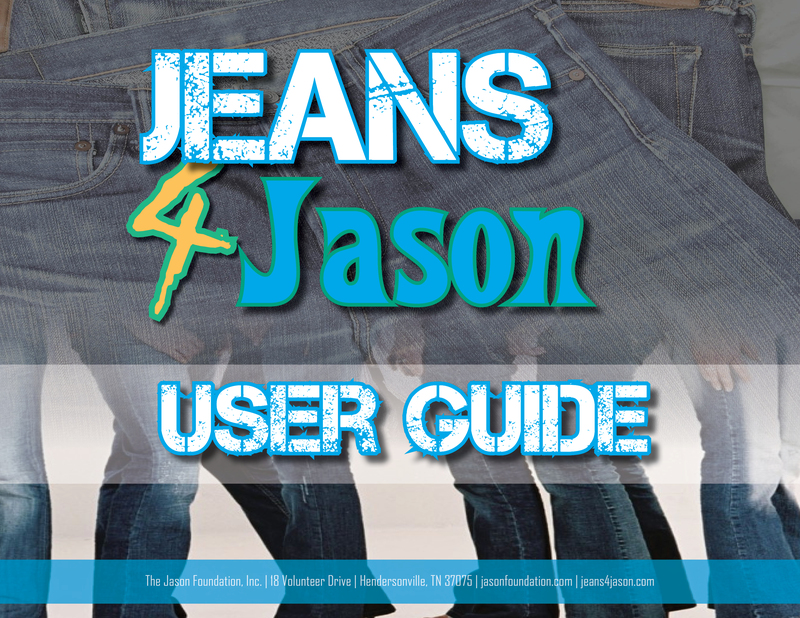 Your participants wear their favorite pair of jeans to work (no holes please). 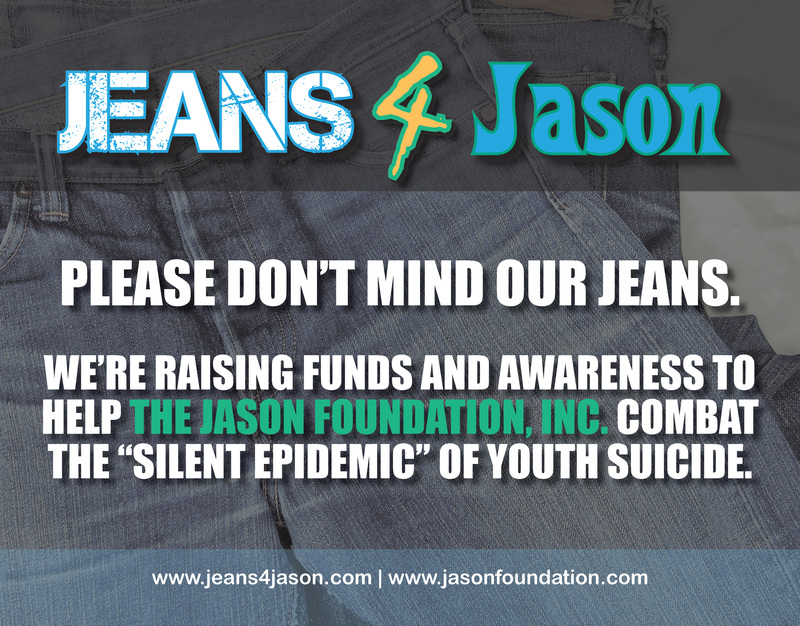 The Jeans 4 Jason coordinator collects the donations and then sends the donations back to The Jason Foundation. Each employee decides if they want to participate or not, and this event should be completely voluntary.